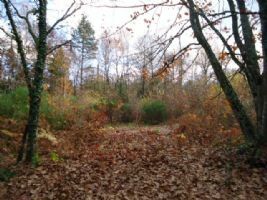 Superb leisure land of 2900 m² just 15 minutes walk from the centre of the village. As always in the case of property, location is vital. However, one man's perfect location is another man's nightmare, and France, being such a large and diverse country, offers a vast choice of location. The building industry is alive and well in France, in spite of the economic downturn, and everywhere you look you will see houses being built. To find the perfect plot, you need to choose your area, whether it's beside the sea, in the mountains, in a village or a town. If you have children, you may decide that to live in a village with a school, activities and shops is the best choice, while couples may prefer a plot in the country, in a more isolated position. Only you can decide, but the choices aren't over once you have made that first decision. The size and aspect of the plot, the cost, of course, flat or sloping, all of these things are important to get right. Don't forget too, that if you are looking for a plot on which to build your house, you must be sure that the land is being sold with permission to construct a residence! At the bottom end of the price scale, plots on a lotissement can offer great value for money, and also be used to create an easy to manage holiday property or a small family home. 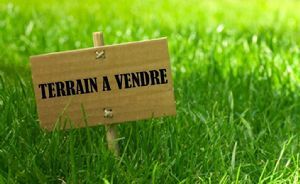 Lotissements are the French equivalent of a housing estate in the UK, and while perhaps not offering the glamour of a grand house in the country or an elegant townhouse, lotissement living can carry many advantages. In a new lotissement development, everyone is building so there are unlikely to be complaints about the noise or mess, and also, everyone is new to the place making it easier to make friends and not feel so much of an outsider. Lotissements tend to be close to amenities such as schools and shops, as they are created for families. The presence of neighbours also means that should you spend periods of time in the UK, your home is less likely to be broken into, and any problems such as water leaks will be reported swiftly. 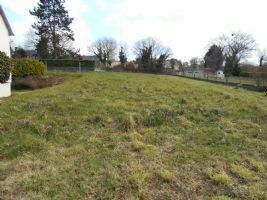 Level building plot set between two houses of 1/4 acre. All services are present on the limit of the property. Just 1 km from the centre of town. 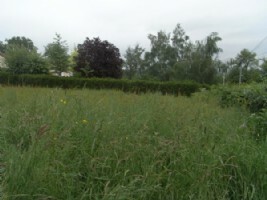 Nice and large building plot, 6 385 m2, in a peaceful hamlet, close to Chatelus Malvaleix, in North Creuse.Water and electricity close by.No nuisance. 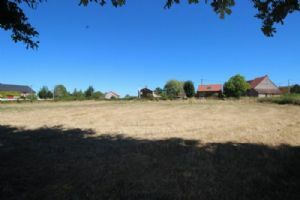 An attractive building plot close to Ruffec and Verteuil-Sur-Charente with some lovely views. Water & electricity is passes the plot, but is not yet connected. 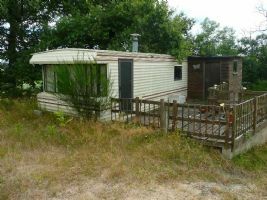 On approximately 1000m² and close to the river Charente, lovely are for walks. This building land is at walking distance from the heart of the small town Magnac Laval where there is a Supermarket, small shops and commerce. A 45 minute drive and you are in Limoges with the international airport and numerous daily flights to UK regional airports. Building plot with current Certificate d’Urbanism (outline planning consent). The plot is on the outskirts of a hamlet accessed by a tarmac driveway off the village road so no passing traffic. 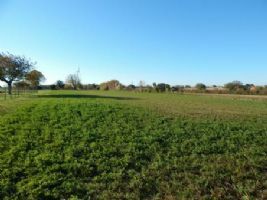 This plot of 756m2 is awaiting your project! Located within minutes of Evran and all amenities. 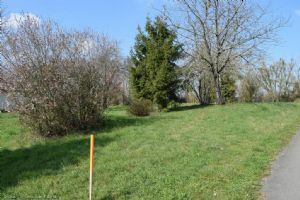 Plot of land : 3200 m² near a charming village (300 m). Facing west. Nice view. of land. Water, electricity and main drainage on the edge of the land. 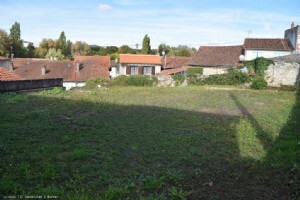 Plot for sale with building permit granted for a cottage of 100m ² with 3 bedrooms and a garage. in Cohennoz near Crest Voland in the Espace Diamant ski resort. Located in a peaceful environment, south east facing with stunning mountain views. Ideal for mountain lovers to build an alpine chalet, just 5 mins from Crest Voland, 2 minutes from Megeve and 1 1/2 hours from Geneva. Annecy 50 mins and Lyon Airport 1 1/2 hours. Build your dream home in The French Alps. 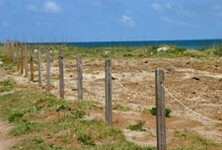 The selection above is simply that, a selection of the available building plots around the country. With prices shown starting from under 20,000 Euros, there is something here for everyone. Time to stop dreaming and start building!